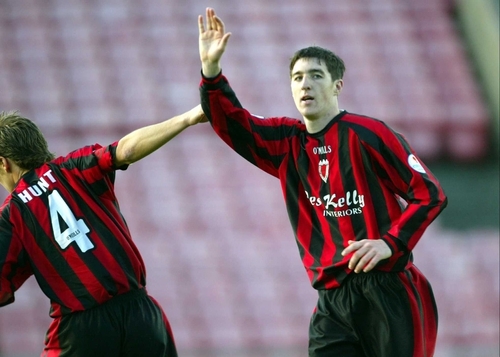 Bohemians striker Stephen Ward made it three goals in three matches to fire the Republic of Ireland Under-21 side to a 1-0 victory over Sweden. 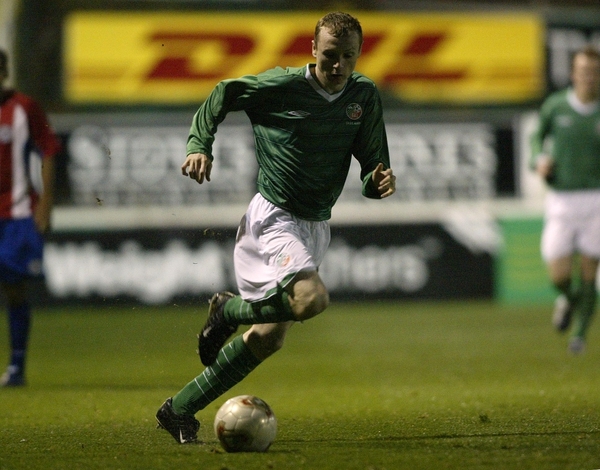 Ward, who scored in the Republic's closing two games of their recent Madeira Tournament success against Finland and Portugal, bagged the only goal of the game in the 77th minute. How Ireland's fortunes have now changed as the victory over Finland two weeks ago ended a miserable 10-game winless streak that had followed on from their previous 13-match unbeaten run. Alex Bruce was handed a debut just two weeks after confirming his allegiance to the Republic. The Birmingham centre-back, son of City boss Steve, had previously snubbed an approach from Northern Ireland on three occasions, and given his lineage could even have played for England or Scotland. Bruce was one of eight changes from the team that played in the final game of the successful Madeira Tournament, a 2-1 victory over Portugal 11 days ago, with Darren Quigley, Michael Timlin and Ward the only survivors. The United Park crowd had to wait until the eighth minute for the first chance, despite a bright start from the home side. Stroking the ball about comfortably, captain and Sheffield Wednesday midfielder Glenn Whelan played in an overlapping Willo Flood on the right, but the eventual shot from the Manchester City winger flashed wide. A 12th-minute mistake from Darren Potter, currently on loan at Southampton from Liverpool, allowed Samuel Holmen a free 20-yard strike that goalkeeper Quigley beat away before Paul McShane hacked the loose ball clear. UCD's number one Quigley again denied the Swedes five minutes later, this time stopping Alexander Farnerud's smart drive following a left-wing cross from Oscar Wendt. Ireland should have then done better midway through the half after Whelan had played a one-two on the edge of the area with Flood. But in attempting to run onto the through ball, Bohemians striker Ward ran into Whelan, leaving the opportunity to go begging. But it was the visitors who looked the stronger, in particular as Irish attacks continued to flounder around the penalty area due to their failure to provide any telling crosses. On the half hour, Quigley needed to be quickly off his line to deny Henok Goitom before the Murcia striker then blazed another chance over the bar three minutes later. That had come within seconds of a half-hearted penalty shout when Farnerud went down under a challenge from Whelan, but Northern Irish referee Adrian McCourt was unimpressed. Sweden goalkeeper Abbas Hassan ended the opening 45 minutes without being tested once, although Ireland's best chance had come in the 43rd minute when Potter flashed a 20-yard right-foot drive inches wide of the right-hand post. Don Givens made just one change at half-time, replacing Quigley with Millwall's on-loan Birmingham goalkeeper Colin Doyle for only his second appearance. In the opening minute of the second half he raced off his line to deny Martin Fribrock, one of Sweden's five half-time substitutes. Fribrock's clipped effort beyond the advancing Doyle was inches wide but the 19-year-old goalkeeper was clearly in trouble with a knee injury. However, after a few minutes with physio Ken Coffey, Doyle was remarkably able to continue before Ireland then forced the Swedish replacement goalkeeper Marcus Sahlman into his side's first save of the game. Following fine approach play involving Potter and Fulham midfielder Timlin, Flood delivered a piercing right-wing ball to the far post. There the unlikely figure of Brighton centre-back Paul McShane conjured up a diving header which was blocked at point-blank range by Sahlman. Doyle, possibly still shaken by his earlier injury, then showed shocking judgement in leaving a curling left-foot shot from Fredrik Petersson which struck the right-hand post before the danger was again cleared. After McShane collected the captain's armband from Whelan, he was replaced midway through the second period by UCD midfielder Gary Dicker. Sahlman then scooped up a bouncing shot from Timlin. But 13 minutes from time Ireland grabbed the winner, with rising under-21 hero Ward making it three goals in his last three matches. After collecting a through ball from Potter, Ward raced into the area and struck a crisp drive that Sahlman could only parry. Ward, though, was swiftly onto the rebound, rifling home from 15 yards past two back-tracking Swedish defenders.